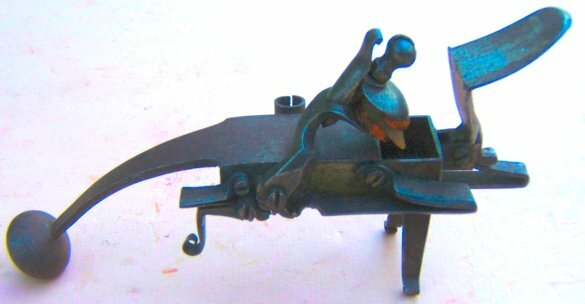 This is an iron and wood camp broiler, measuring around 6.6″ x 6.8″ x 7.2″. Hot coals would be put into its base, and items put onto the hinged grill for cooking. Food could be placed directly on the grill, or in pots, pans, or other containers on top of the grill. 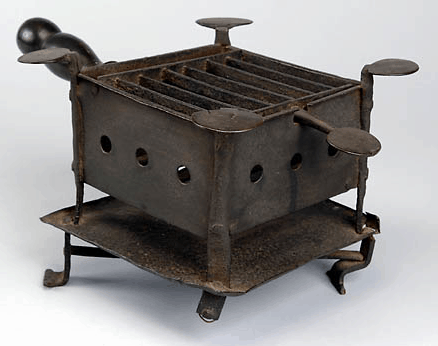 The broiler is also referred to as a brazier. For source and more details, click here.